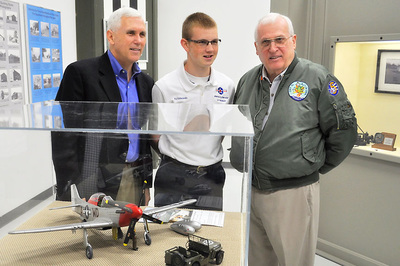 Since the Atterbury-Bakalar Air Museum construction and dedication in 1992, the number of items to be exhibited grew significantly. To increase the number of exhibits, an expansion was needed. The existing area for displays, storage, and restoration was 5,000 square feet. 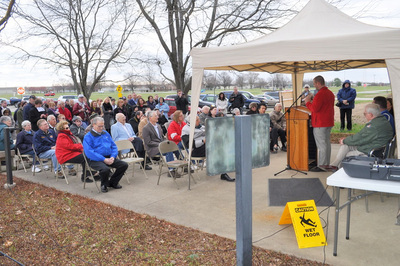 The expansion more than doubled the area for exhibits. 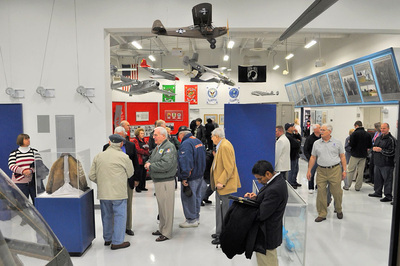 A large gallery was added to the south end of the present building, and includes meeting and library rooms in addition to the expanded exhibit area. 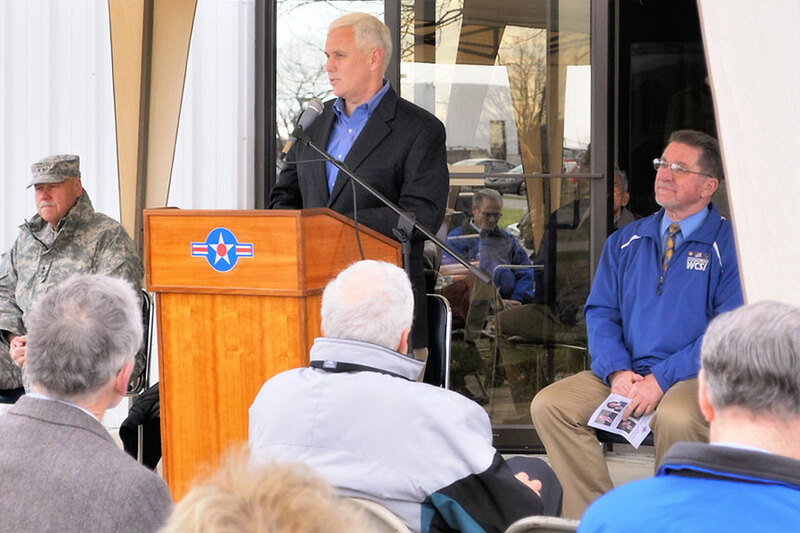 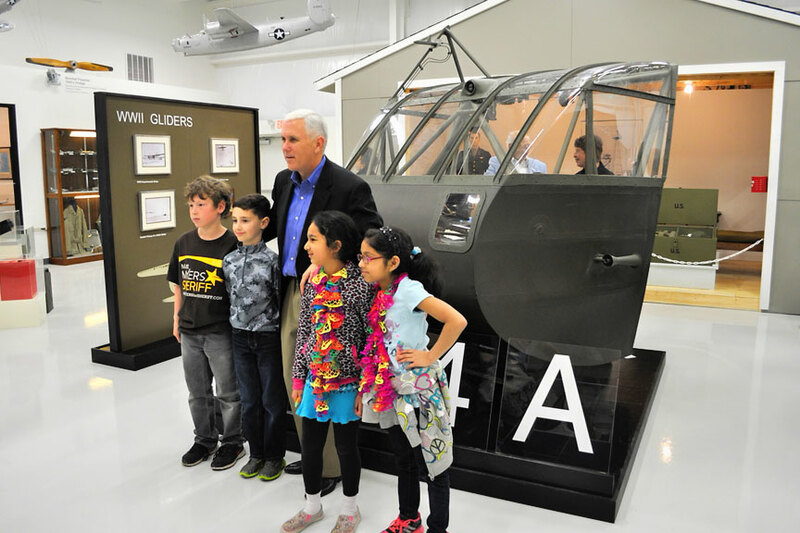 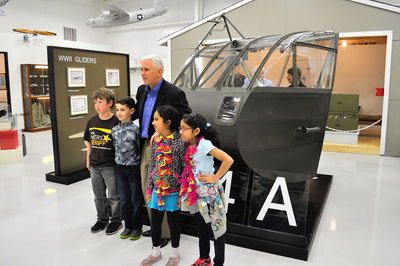 The community came together in the spring of 2014 to help us celebrate and enjoy the new, expanded facility, and Columbus native and current Governor Mike Pence was also on hand! Governor Mike Pence at the opening ceremony. 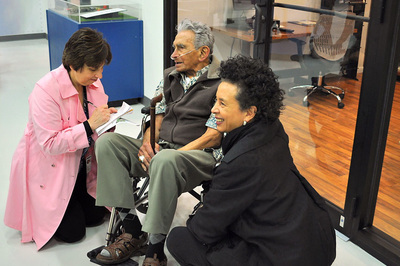 A reporter interviews Gus Pothoff.